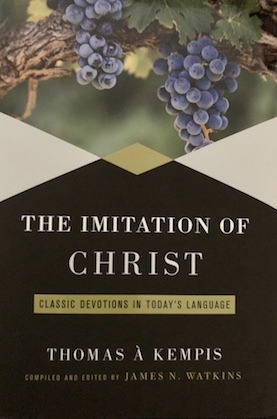 Sin ce the early 1400s, The Imitation of Christ has been a Christian classic—for many centuries surpassed in printing and sales only by the Bible itself. Nor in its time was any book more translated into contemporary languages (apart from Scripture). Imitation originally circulated as a series of devotional booklets, the earliest of which reached the public as early as 1420, a year or two after à Kempis began writing. 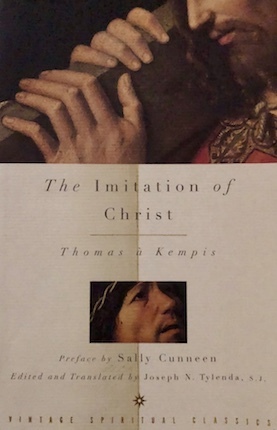 Thomas à Kempis (Thomas Haemmerlein, 1380-1471) spent most of his life in Germany, spending 72 years of his life as a member of the Brothers of the Common Life at Mount St. Agnes Monastery. This work was originally written in Latin. For non-Latin readers there are numerous versions in modern languages. The Imitation has been available in English since 1696. * I'll read the selection for the day. * Scriptural connections will be pointed out. * Practical application will follow (thought questions, personal challenges, prayer points). * Most podcasts are 10-15 minutes in length. * You will also find powerful à Kempis sayings. * 31 podcasts in all. May this series help all who long for the heart of Christ to become more like him. Direct link to podcasts (start going live on 1 Jan, 2019). Please note: Attempting to access the message before it has gone live will result in an error message. Once a podcasts is live, you can access it anytime you like. * Love the à Kempis podcasts—fabulous start to each day. Thank you, praise God! * I’m encouraging our whole house church to follow along with the Imitation of Christ study series. * The podcasts are thought-provoking—very helpful and refreshing for me. This teaching is a gift from God to me right now. I am sharing what I'm learning with my sisters (who live in four other cities). The Word will not return void. * This is very powerful—so glad you decided to podcast from The Imitation. This also fits perfectly with our church's 2019 theme. * The quiet times are short and very powerful and life changing. Thank you!